Mario Draghi OMRI (Italian pronunciation: [ˈmaːrjo ˈdraːɡi]; born 3 September 1947) is an Italian economist serving as the President of the European Central Bank since 2011. He previously served as the Chairman of the Financial Stability Board from 2009 to 2011 and Governor of the Bank of Italy from 2005 to 2011. Draghi previously worked at Goldman Sachs from 2002 until 2005. In 2014, Draghi was listed as the 8th most powerful person in the world by Forbes. In 2015, Fortune magazine ranked him as the world's second greatest leader. His term is scheduled to end on 31 October 2019. 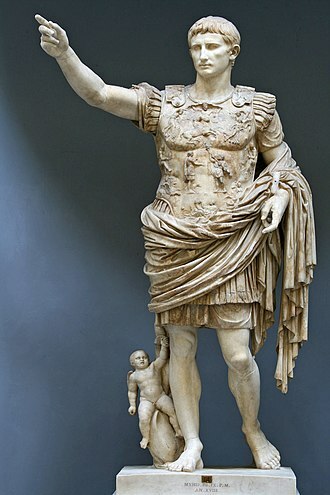 Draghi was born in Rome. His father Carlo joined Banca d'Italia in 1922, later IRI and in the end Banca Nazionale del Lavoro. His mother, Gilda Mancini was a pharmacist. Mario is the first of three children: Andreina, art historian, and Marcello, entrepreneur. He studied at the Massimiliano Massimo Institute and graduated from La Sapienza University under the supervision of Federico Caffè with his thesis titled Economic integration and exchange rates changes. Then he earned a PhD in economics from the Massachusetts Institute of Technology in 1976 with his thesis titled Essays on economic theory and applications, under the supervision of Franco Modigliani and Robert Solow. Draghi was a full professor at the Cesare Alfieri Faculty of Political Science of the University of Florence from 1981 until 1994 and a fellow of the Institute of Politics at the John F. Kennedy School of Government, Harvard University (2001). 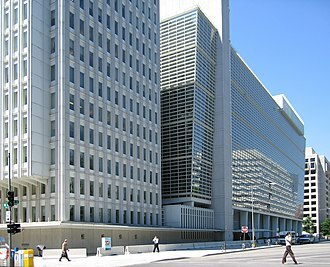 From 1984 to 1990 he was the Italian Executive Director at the World Bank. In 1991, at the initiative of the then Minister Guido Carli, he became general director of the Italian Treasury, and held this office until 2001. 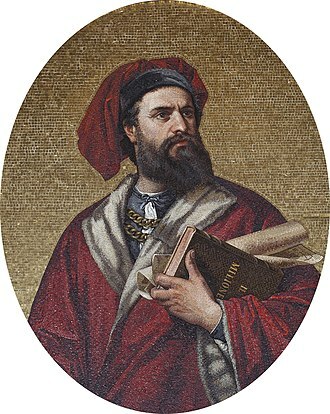 During his time at the Treasury, he chaired the committee that revised Italian corporate and financial legislation and drafted the law that governs Italian financial markets. He is also a former board member of several banks and corporations (Eni, Istituto per la Ricostruzione Industriale, Banca Nazionale del Lavoro and IMI). Draghi was then vice chairman and managing director of Goldman Sachs International and a member of the firm-wide management committee (2002–2005). He worked on the firm's European strategy and development with major European corporations and governments. After the revelation of off-market swaps used by Greece with the help of Goldman Sachs, he said he "knew nothing" about this deal and "had nothing to do with" it. He added that "the deals between the Greek government and Goldman Sachs had been undertaken before [his] joining of [the company]." Draghi is a trustee at the Institute for Advanced Study in Princeton, New Jersey and also at the Brookings Institution, in Washington, D.C. In his capacity as Bank of Italy governor, he was a member of the Governing and General Councils of the European Central Bank and a member of the Board of Directors of the Bank for International Settlements. He is also governor for Italy on the Boards of Governors of the International Bank for Reconstruction and Development and the Asian Development Bank. In December 2005 Draghi was appointed Governor of the Bank of Italy, and in April 2006 he was elected Chairman of the Financial Stability Forum; this organization which became Financial Stability Board in April 2009 on behalf of the G20, bringing together representatives of governments, central banks and national supervisors institutions and financial markets, international financial institutions, international associations of regulatory authorities and supervision and committees of central bank experts. It aims to promote international financial stability, improve the functioning of markets and reduce systemic risk through information exchange and international cooperation between supervisors. On 5 August 2011 he wrote, together with the immediate past governor of the ECB, Jean Claude Trichet, a letter to the Italian government to push for a series of economic measures that would soon be implemented in Italy. Draghi was frequently mentioned as a potential successor to Jean-Claude Trichet, whose term as President of the European Central Bank ended in October 2011. Then, in January 2011, German weekly newspaper Die Zeit reported, with reference to high-ranking policy-makers in Germany and France, that it is "unlikely" that Draghi will be picked as Trichet's successor. 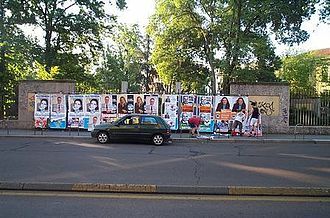 However, in February 2011 the situation became further complicated when the main German candidate, Axel Weber, was reported to be no longer seeking the job, reviving the chances of the other candidates. On 13 February 2011 Wolfgang Münchau, associate editor of the Financial Times, endorsed Draghi as the best candidate for the position. A few days later The Economist wrote that "the next president of the world's second-most-important central bank should be Mario Draghi". On 20 April 2011 The Wall Street Journal reported that "Wolfgang Schäuble, Germany's finance minister, is open to Mr. Draghi for the post of ECB President". A few days later the German newspaper Bild endorsed Draghi by defining him the "most German of all remaining candidates". Contrary to previous reports about France's position, on 25 April it was reported that President Nicolas Sarkozy saw Draghi as a full-fledged and an adequate candidate for the job. Draghi with Dominique Strauss-Kahn and Jean-Claude Trichet. On 17 May 2011 the Council of the European Union – sitting as Ecofin – adopted a recommendation on the nomination of Draghi as President of the ECB. He was approved by the European Parliament and the ECB itself and on 24 June 2011 his appointment was confirmed by the European leaders. Draghi began leading the Frankfurt-based institution when Trichet's non-renewable eight-year term expired on 31 October 2011. Draghi's term runs from 1 November 2011 to 31 October 2019. Though France long backed Draghi's candidacy, the country held up the appointment toward the end, insisting that Lorenzo Bini Smaghi, an Italian official on the ECB's six-member board, cede his post on the board to a French representative. Concerns were also expressed during the candidacy about Draghi's past employment at Goldman Sachs. Pascal Canfin (MEP) asserted Draghi was involved in swaps for European governments, particularly in Greece, trying to disguise their countries' economic status. Draghi responded that the deals were "undertaken before my joining Goldman Sachs [and] I had nothing to do with them", in the 2011 European Parliament nomination hearings. In December 2011, Draghi oversaw a €489 billion ($640 b. ), three-year loan program from the ECB to European banks. The program was around the same size as the US Troubled Asset Relief Program (2008) though still much smaller than the overall US response including the Federal Reserve's asset purchases and other actions of that time. Draghi's ECB also promptly "repealed the two foolish rate hikes made by his predecessor ...Trichet [and] ... stepped up the bond purchases from struggling euro-zone nations" to help with the debt crisis, commentator Steve Goldstein wrote in mid-January, 2012. At that time, "Draghi and all of his colleagues (the decision was unanimous) chose not to cut the price for private-sector loans [below the 1% achieved with the "repeal"], even when he forecasts inflation to fall below the targeted 2% later this year." As such, Goldstein concluded, Draghi would leave more moves to national leaders Sarkozy and German Chancellor Angela Merkel and central banks, contrasting Draghi's actions with those of the Fed's Ben Bernanke. Mario Draghi at the World Economic Forum, in 2012. In February 2012, Nobel prize laureate in economics Joseph Stiglitz argued that, on the issue of the impending Greek debt restructuring, the ECB's insistence that it has to be "voluntary" (as opposed to a default decreed by the Greek authorities) was a gift to the financial institutions that sold credit default insurance on that debt; a position that is unfair to the other parties, and constitutes a moral hazard. Late in February, 2012, a second, somewhat larger round of ECB loans to European banks was initiated under Draghi, called long term refinancing operation (LTRO). One commentator, Matthew Lynn, saw the ECB's injection of funds, along with Quantitative easing from the US Fed and the Asset Purchase Facility at the Bank of England, as feeding increases in oil prices in 2011 and 2012. In July 2012, in the midst of renewed fears about sovereigns in the eurozone, Draghi stated in a panel discussion that the ECB "...is ready to do whatever it takes to preserve the Euro. And believe me, it will be enough." This statement led to a steady decline in bond yields (borrowing costs) for eurozone countries, in particular Spain, Italy and France. In light of slow political progress on solving the eurozone crisis, Draghi's statement has been seen as a key turning point in the fortunes of the eurozone. In April 2013, Draghi said in response to a question regarding membership in the eurozone that "These questions are formulated by people who vastly underestimate what the euro means for the Europeans, for the euro area. They vastly underestimate the amount of political capital that has been invested in the euro." In 2015, in an appearance before the European Parliament Draghi said that the future of the eurozone was at risk unless member countries gave up some independence and created more Pan-European government institutions. "We have not yet reached the stage of a genuine monetary union," the central bank president, Mario Draghi, said in a speech to the European Parliament in Brussels. Failure of eurozone countries to harmonize their economies and create stronger institutions, he said, "puts at risk the long-term success of the monetary union when faced with an important shock." Mr. Draghi has often urged eurozone governments to do more to improve their economic performance, for example by overhauling restrictive labor regulations. But it was unusual for him to suggest that the future of the eurozone could depend on whether countries heed his advice. We haven't really thought or talked about helicopter money. It's a very interesting concept that is now being discussed by academic economists and in various environments. But we haven't really studied yet the concept. Prima facie, it clearly involves complexities, both accounting-wise and legal-wise, for our view, but of course by this term "helicopter money" one may mean many different things, and so we have to see that. 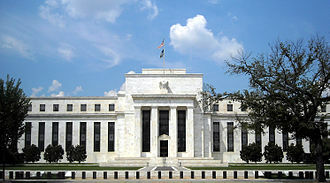 Draghi is a member of the Group of Thirty founded by the Rockefeller Foundation. The Group of Thirty is a private group of lobbyists in the finance sector. For this reason he is accused of having a conflict of interest as president of the ECB. Some parties also see Draghi's former work at Goldman Sachs as a conflict of interest. Beginning in 2013 Draghi was criticised in the context of the scandals rising around the bank Banca Monte dei Paschi di Siena (MPS) which was making very risky deals. ^ "World's Greatest Leaders" Fortune Magazine. Retrieved 15 April 2015. ^ Bank, European Central. "Members". European Central Bank. 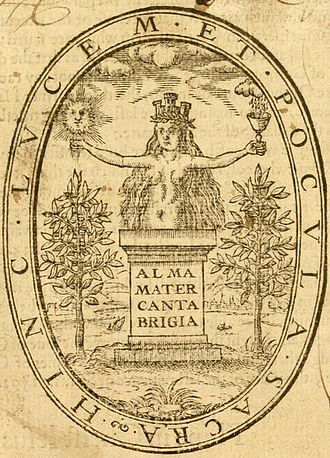 ^ "I compagni di classe del nuovo Governatore" (in Italian). corriere.it. Retrieved 5 September 2012. ^ "Bank of Italy – Mario Draghi". Bancaditalia.it. Archived from the original on 8 October 2011. Retrieved 26 June 2011. ^ Subrata Ghatak; John N. Kallianiotis; José Roberto Sánchez-Fung (3 October 2013). Exchange Rates and International Financial Economics: History, Theories, and Practices. Palgrave Macmillan. p. 48. ISBN 978-1-137-31888-6. 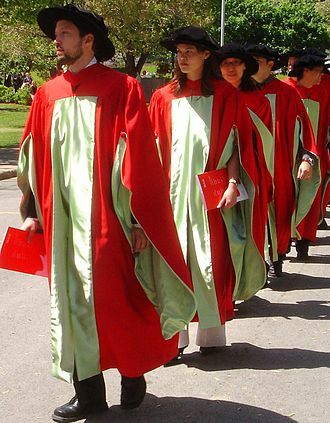 ^ a b David A Dieterle Ph.D. (8 August 2013). Economic Thinkers: A Biographical Encyclopedia: A Biographical Encyclopedia. ABC-CLIO. pp. 67–. ISBN 978-0-313-39747-9. ^ "Germany gives green light to Draghi". 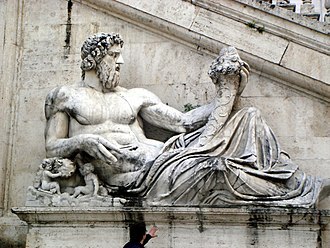 LifeinItaly.com. 11 May 2011. Archived from the original on 14 March 2012. Retrieved 25 June 2011. ^ a b Foley, Stephen (18 November 2011). "What price the new democracy? Goldman Sachs conquers Europe". London: The Independent. Retrieved 18 November 2011. ^ "Goldman Sachs - Press Releases - Professor Mario Draghi Joins Goldman Sachs". Goldman Sachs. ^ Federal Reserve Bank of Kansas City. Symposium; Federal Reserve Bank of Kansas City (2009). Maintaining stability in a changing financial system: a symposium. The Bank. p. xiii. ^ Nomi Prins (2 October 2009). It Takes a Pillage: An Epic Tale of Power, Deceit, and Untold Trillions. John Wiley & Sons. p. 89. ISBN 978-0-470-55550-7. ^ Juan Fernández de Guevara Radoselovics; José Pastor Monsálvez (29 November 2012). Crisis, Risk and Stability in Financial Markets. Palgrave Macmillan. p. 94. ISBN 978-1-137-00183-2. ^ Jean Pisani-Ferry (2014). The Euro Crisis and Its Aftermath. Oxford University Press. p. 183. ISBN 978-0-19-999333-8. ^ "German paper says Draghi's ECB chances diminishing". Reuters. 19 January 2011. 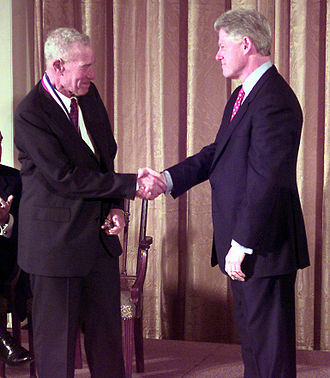 ^ Kennedy, Simon; Neuger, James G. (19 January 2011). "Weber's Withdrawal Throws Open ECB Race as European Debt Crisis Persists". Bloomberg. ^ "Draghi can lead the eurozone out of danger". Financial Times. 13 February 2011. ^ "The Italian's Job". The Economist. 17 February 2011. ^ Blackstone, Brian (20 April 2011). "Italian Gains Support in Central Bank Race". The Wall Street Journal. ^ "So deutsch ist der neue EZB-Chef". Bild. 29 April 2011. ^ Fouquet, Helene (25 April 2011). "Draghi Said to Be Seen by Sarkozy as Trichet's Successor". Bloomberg. ^ "Mario Draghi, bien parti pour prendre la présidence de la BCE". Le Monde. 27 April 2011. ^ "Draghi Appointed ECB Chief", Wall Street Journal, 16 May 2011. ^ "Mario Draghi appointed as head of European Central Bank". BBC. 24 June 2011. Retrieved 24 June 2011. ^ a b Galloni, Alessandra, and William Horobin (24 June 2011). "Draghi appointed ECB chief (intro-only without subscription)". The Wall Street Journal. ^ Watts, William L. (24 June 2011). "EU leaders confirm Draghi to head ECB". MarketWatch. ^ "EU appoints Draghi to ECB, Bini Smaghi to leave". Reuters. 24 June 2011. Retrieved 24 June 2011. ^ "EuroparlTV video: Interview: 'Mario Draghi didn't convince me' – Pascal Canfin, MEP". Europa (web portal). 15 June 2011. Archived from the original on 2 July 2011. Retrieved 26 June 2011. ^ "Hearing of Mario Draghi nominated to take over the European Central Bank 14-06-2011". Europa (web portal) (in French). Archived from the original on 29 June 2011. Retrieved 26 June 2011. ^ Goldstein, Steve (12 January 2012). "Unlike Bernanke, Draghi doesn't aim to be hero". MarketWatch | Opinion. Retrieved 12 January 2012. 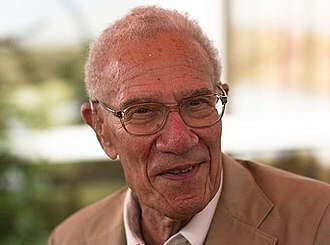 ^ Stiglitz, Joseph (6 February 2012). "Capturing the ECB". project-syndicate.org. Project Syndicate. Retrieved 14 February 2012. In fact, the ECB may be putting the interests of the few banks that have written credit-default swaps before those of Greece, Europe's taxpayers, and creditors who acted prudently and bought insurance. ^ Lynn, Matthew (29 February 2012). "What central banks provide, oil markets take away". MarketWatch. Retrieved 29 February 2012. ^ Mario Draghi (26 July 2012). ECB's Draghi to the euro's rescue? (Video). Euronews via YouTube. Retrieved 17 December 2012. ^ Watts, William L. (26 July 2013). "Here's how things look a year after Mario Draghi pledged 'whatever it takes' to save the euro (blog)". MarketWatch. Retrieved 17 December 2013. ^ Dixon, Hugo (30 July 2012). "Saving face and the Euro will be tough". The New York Times. Retrieved 23 August 2018. ^ Boesler, Matthew (4 April 2013). "MARIO DRAGHI: Zero hedge readers don't understand the Euro crisis". Business Insider. Retrieved 20 May 2013. ^ Ewing, Jack (25 February 2015). "Eurozone's Future Remains at Risk, Mario Draghi Warns". The New York Times. Retrieved 26 February 2015. ^ "Introductory statement to the press conference (with Q&A)". ecb.europa.eu. European Central Bank. 10 March 2016. Retrieved 30 April 2016. ^ "Board of Directors". www.bis.org. 1 December 2015. ^ "Monte dei Paschi: Affäre um älteste Bank der Welt erreicht Draghi". 29 January 2013 – via Spiegel Online. ^ web, Segretariato generale della Presidenza della Repubblica-Servizio sistemi informatici- reparto. "Le onorificenze della Repubblica Italiana". Quirinale (in Italian). Retrieved 2018-02-24. ^ Draghi, Prof. Mario, "Cavaliere di Gran Croce ..." Archived 15 January 2012 at the Wayback Machine, Presidenza della Repubblica webpage. ^ "404 error page". 404 error page. ^ "Laurea honoris causa a Mario Draghi". LUISS Guido Carli. ^ "TAU Honorary Doctorates 2017". Tel Aviv University. Blackstone, Bryan; Walker, Marcus (2 October 2012). "How ECB Chief Outflanked German Foe in Fight for Euro". The Wall Street Journal. New York: Dow Jones & Company. 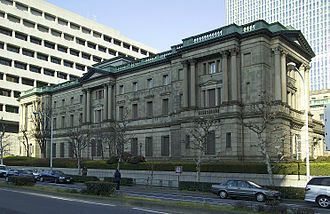 Wikimedia Commons has media related to Mario Draghi. 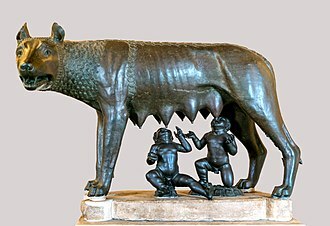 Politics of Italy is conducted through a constitutional republic with a multi-party system. 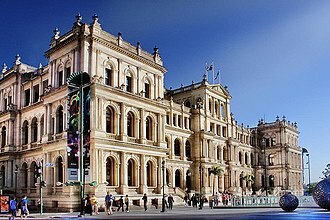 The executive power is exercised collectively by the Council of Ministers, legislative power is vested in the two houses of parliament primarily, and secondarily on the Council of Ministers, which can introduce bills and holds the majority in the parliament. The judiciary is independent of the executive and the legislative branches and it is headed by the High Council of the Judiciary. The president is the head of state, though his position is separate from all branches, the current President is Sergio Mattarella and the current Prime Minister of Italy is Paolo Gentiloni. Article 1 of the Italian Constitution states Italy is a democratic Republic founded on labour, sovereignty belongs to the people and is exercised by the people in the forms and within the limits of the Constitution. By stating that Italy is a republic, the article solemnly declares the results of the constitutional referendum which took place on 2 June 1946. The State is not a property of the ruling monarch. The people who are called to administer the republic are not owners, but servants, and the governed are not subjects. And the sovereignty, that is the power to make choices that involve the community, belongs to the people, in accordance with the concept of a democracy, from the Greek demos. This power, however, is not to be exercised arbitrarily, as the head of state, the President of the Republic represents the unity of the nation and has many of the duties previously given to the king of Italy. The President serves as a point of connection between the three branches, he is elected by the lawmakers, he appoints the executive, and is the president of the judiciary, the president is commander-in-chief in the time of war. These delegates are elected by their respective Regional Councils so as to guarantee representation to minorities, the election needs a wide majority that is progressively reduced from two-thirds to one-half plus one of the votes after the third ballot. Luis de Guindos Jurado is a Spanish politician and currently the Minister of Economy and Competitiveness of Spain. De Guindos was born in Madrid, Spain, on January 16,1960 and he is a Bachelor of Economics and Business at the Colegio Universitario de Estudios Financieros. In late 1996, de Guindos was appointed General Director for Economic and he has served on the board of Renfe between 1997 and 2000 and the Official Credit Institute from 2000 to 2002. In May 2000 was appointed Secretary in General for Economy, and he was Secretary of State for Economic Affairs under Minister for Economic Affairs Rodrigo Rato in the last government led by José María Aznar and was succeeded by David Vegara. In this capacity, he was in charge of overseeing Spains entry into the eurozone, subsequently, de Guindos became responsible for the finance division of Pricewaterhouse Coopers. Finally, and in a ceremonial role, he was appointed as a professor of finance at the PwC and IE Financial Sector Center of IE Business School. He was a member of Endesa SA, a Spanish power company. At the time, analysts said that if Spain had nominated de Guindos predecessor Elena Salgado for the board, meanwhile, on 5 June 2015, Dijsselbloem announced he would seek a second term, prompting de Guindos saying he would mount a challenge. At a Eurogroup meeting in July 2015, Dijsselbloem picked up 10 votes, in late 2015, de Guindos announced that Spain would have a budget deficit of less than 3 percent of GDP by 2016. However, after the country missed its 2015 public deficit target of 4, de Guindos continued to be in charge of the newly expanded portfolio in the second Rajoy Government from November 2016 on. ”De Guindos, who is married with two children, is a practicing Roman Catholic. In September 2014, he attended the beatification of one of the leaders of the conservative Opus Dei movement, yet in the press he has said he supports the right of gay people to marry and did not support the governments 2014 proposal to outlaw abortion. Eni S. p. A. is an Italian multinational oil and gas company headquartered in Rome. The Italian government owns a 30. 303% golden share in the company,3. 934% held through the state Treasury and 26. 369% held through the Cassa Depositi e Prestiti, another 2. 012% of the shares are held by Peoples Bank of China. The company is a component of the Euro Stoxx 50 stock market index, the name ENI was initially the acronym of Ente Nazionale Idrocarburi. Eni constantly ranks among the top 100 on Fortune Global 500 list for largest companies by revenue, in 2016, the company holds the 65th place, a fall of 40 places from the previous years 25th rank. 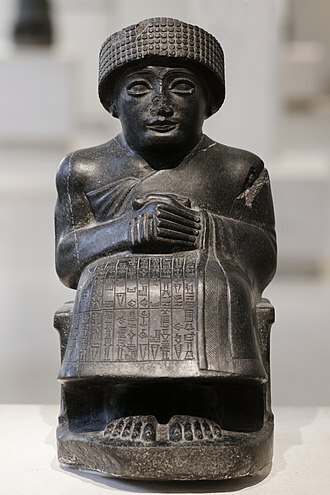 Eni was founded and established by law in 1953 from a company, Agip. In March 1953, Enrico Mattei was nominated Enis Chairman, Eni originally was an acronym for the companys full title Ente Nazionale Idrocarburi. Since 1995 the meaning ceased to be relevant but the name was maintained, in 1952 Eni chooses its own logo, the six-legged dog, an imaginary animal symbolizing the sum of a cars four wheels and the two legs of its driver. 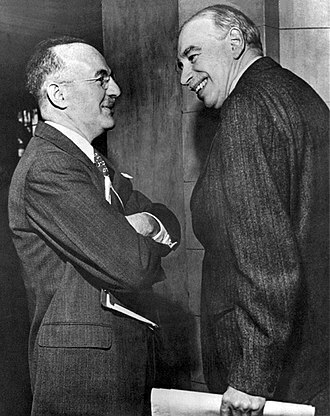 In 1957 Eni pushed for an agreement, known as the Mattei formula, to be signed with Persian Shah Reza Pahlavi. In 1960, during the Cold War period, Eni signed an agreement with the Soviet Union for the importation of Russian crude at very reasonable prices. On 27 October 1962 Enrico Mattei died on an accident involving his twin-jet while surrounding Bascapè. During the following years, Eni signed contracts in joint venture with foreign companies to supply crude from Egypt to Iran, during the mid-1970s Eni planned a major infrastructure for transporting natural gas over long distances by building a pipeline network of thousands of miles throughout Europe and the Mediterranean. In 1992 Eni became a joint stock company by Law Decree, from 1995 to 1998 Eni put four share offers fully successfully, as 70% of its capital assets were sold to private shareholders. As the price of oil collapsed in 1998 as other major companies Eni got to turn into a race through merges, international acquisitions, new explorations, since 2000, Eni has been developing the Kashagan oilfield a major offshore discovery, along the Caspian Sea. 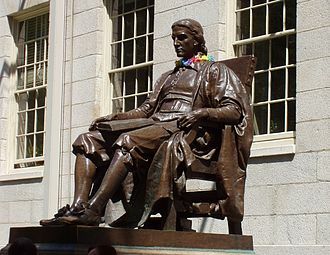 The John F. Kennedy School of Government at Harvard University is a public policy and public administration school, of Harvard University in Cambridge, United States. The school offers degrees in public policy, public administration, and international development, grants several doctoral degrees. 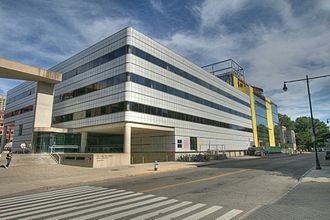 It conducts research in subjects relating to politics, international affairs, the Schools primary campus is located on John F. Kennedy Street in Cambridge, United States. The main buildings overlook the Charles River, southwest of Harvard Yard and Harvard Square, the School is adjacent to the public riverfront John F. Kennedy Memorial Park. 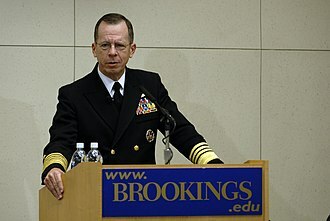 In 2015, Douglas Elmendorf, the director of the U. S. Congressional Budget Office who had served as a Harvard faculty member, was named Dean of the Harvard Kennedy School. 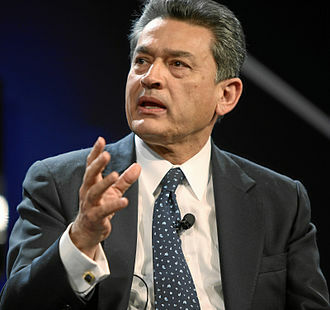 From 2004 to 2015, the Schools Dean was David Ellwood, Ellwood was an assistant secretary in the Department of Health and Human Services in the Clinton Administration. A major expansion and renovation of the began in 2015. 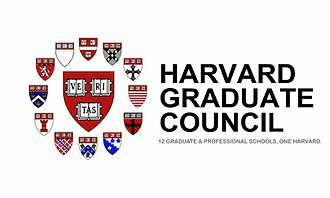 Harvard Kennedy School was originally the Harvard Graduate School of Public Administration, and was founded in 1936 with a $2 million gift from Lucius N. Littauer and its shield was designed to express the national purpose of the school and was modeled after the U. S. shield. 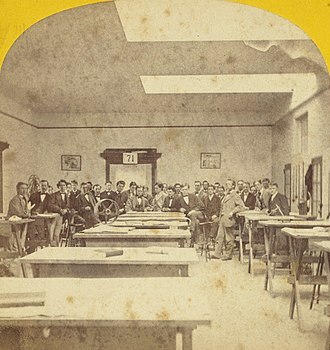 The School drew its initial faculty from Harvards existing government and economics departments, the Schools original home was in the Littauer Center north of Harvard Yard, now the home of the Harvard Faculty of Arts and Sciences Economics Department. In the 1960s, the School began to develop public policy degree. 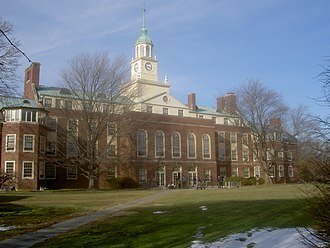 In 1966, the School was renamed for President John F. Kennedy, under the terms of Littauers original grant, the current HKS campus features a building called Littauer. 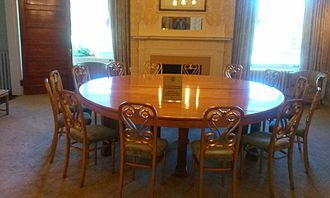 The IOP has been housed on the Kennedy School campus since 1978, the John F. Kennedy, Jr. Forum in the new Littauer building is both the site of IOP forum events as well as a major social gathering place between HKS courses. Ground breaking commenced on May 7,2015 and is expected to be complete in early 2018. The President heads the executive board, governing council and general council of the ECB. 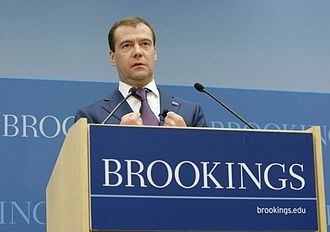 He is not elected by popular vote and he represents the bank abroad, for example at the G20. The President is appointed by majority in the European Council, de facto by those who have adopted the euro, Duisenberg became the first President of the ECB. Duisenberg always strongly denied such an agreement was made and stated in February 2002 that he would stay in office until his 68th birthday on 9 July 2003. 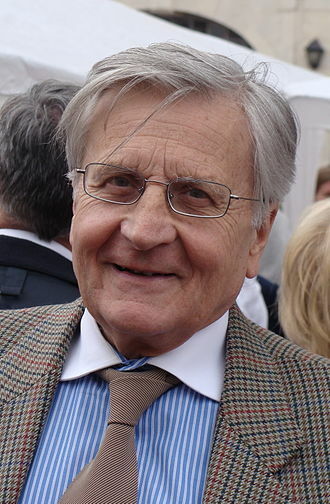 In the meanwhile Jean-Claude Trichet was not cleared of legal accusations before 1 June 2002, even on 9 July 2003 Trichet was not cleared, and therefore Duisenberg remained in office until 1 November 2003. Duisenberg died on 31 July 2005, Jean-Claude Trichet became President in 2003 and served during the European sovereign debt crisis. Trichets strengths lay in keeping consensus and visible calm in the ECB, during his tenure, Trichet has had to fend off criticism from French President Nicolas Sarkozy who demanded a more growth-orientated policy at the ECB. Germany supported Trichet in demanding the banks independence be respected, however, he was criticised from straying from his mandate during the crisis by buying the government bonds of eurozone member states. 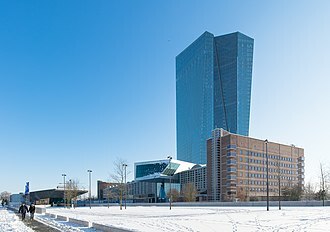 ECB board members Axel A. Weber and Jürgen Stark resigned in protest at this policy, while straying from his mandate, he has however still kept interest rates under control and maintained greater price stability than the Deutsche Bundesbank did before the euro. He asserted that the ECBs role in maintaining price stability throughout the financial crisis, mario Draghi was chosen to become the next President of the ECB on 24 June 2011. He is President as of 1 November 2011, pascal Canfin, Member of the European Parliament, asserted that Draghi had been involved in swaps for European governments, namely Greece, trying to disguise their countries economic status. Draghi responded that the deals were undertaken before my joining Goldman Sachs I had nothing to do with them, list of presidents since the establishment of the bank on 1 June 1998. Long-term interest rates (secondary market yields of government bonds with maturities of close to ten years) of all eurozone countries except Estonia, Latvia and Lithuania. A yield being more than 4% points higher compared to the lowest comparable yield among the eurozone states, i.e. yields above 6% in September 2011, indicates that financial institutions have serious doubts about credit-worthiness of the state. President Rodrigo Duterte pose for a photo with ADB President Takehiko Nakao and other officials of ADB during the 51st ADB Annual Meeting in Ortigas Center, Mandaluyong City, Philippines on May 5, 2018. Palazzo ENI, Rome, built 1959-1962. Photo by Paolo Monti, 1967.